Bachelorette Packages is an exciting service offering the opportunity for Transportation and Dinner at some of the most outstanding Restaurants in New York and Long Island. Using our Limousines, Limo/Party Buses and our experience in providing quality service, you are sure to enjoy the many dining experiences that the NY metropolitan area has to offer. 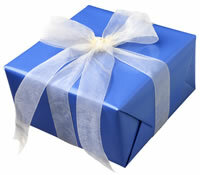 We offer exciting gift packages for any occasion. Holidays, Birthdays, Engagement Parties, Anniversary’s, Fathers Day, Bachelor Parties, Sporting Events, or just a Relaxing Day of Atmosphere, Drinking and Enjoyment. Your day will begin with pickup, where you will be provided with your itinerary, previously determined based on your individual needs. Our drivers will take you and your party to Long Island Brewery Houses to visit a minimum of three Brewery Pubs where you can relax, enjoy the atmosphere all while tasting the various Beers the Brew Makers offer. Clients can choose to spend the afternoon leisurely tasting Beer and speaking to the Brew Masters and/or can schedule their visits during the Beer Processing where they will learn in detail of the procedure that creates such exceptional Beer on Long Island. Most of the Beer Pubs do offer food so you can sit down for Lunch or even Dinner based on your scheduled time frame when reserving your Beer Tour. Some Breweries even have live entertainment on a nightly basis. So you might want to extend your stay, have dinner and enjoy the music (prices vary). We will even reserve your seating, leaving you and your guests with only one responsibility, Eat, Drink & Enjoy.